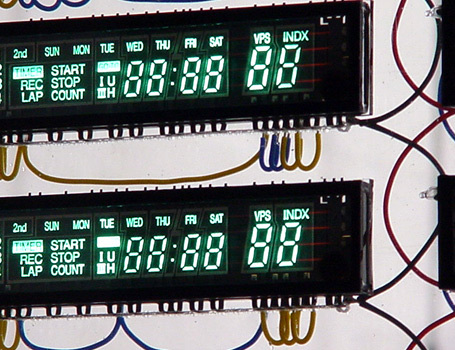 Vacuum filament displays are usually used for numerical display in video players. Such displays are pretty obsolete today - LCD displays are more common now. This work presents a grid of vacuum filament displays powered up and programmed in a way that shows all of the possible functions of the video players for which they were originally created.